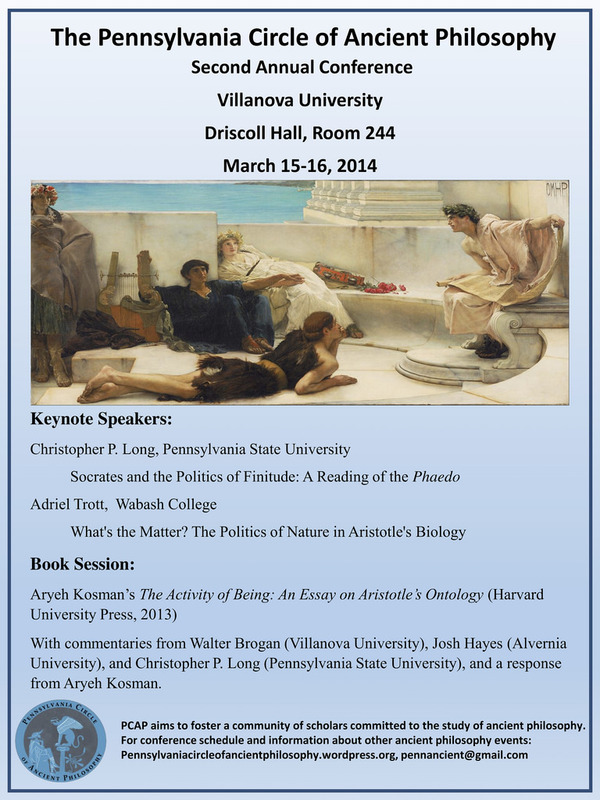 In this interactive keynote address to the Pennsylvania Circle of Ancient Philosophy hosted by Villanova University, I argue that the Phaedo is Plato’s most eloquent political dialogue. Its eloquence, however, is not heard in the political theories it sets forth or in the dogma it allegedly establishes, but in the way the poignant things Socrates says to and with his friends on the last day of his life are woven together into a written recollection that requires those who enter into dialogue with it not merely to reflect upon, but also to act differently in the footsteps of the words encountered there. The lecture used Twitter to cultivate an ongoing dialogue about the reading of the text. To participate, follow @cplong and the hashtag #PCAP14.